I haven’t posted in a while, so this is just a few updates. In early March I began a PhD in Political Science at Melbourne University, and am also now an Affiliate of the Melbourne School of Government. The PhD has meant that I have to to reduce my work at Monash and Swinburne, which will be reduced further over the next month or two. So there might not be many posts on this blog for the near-future. I would love to be one of those people who can blog frequently while working and studying, but don’t think I am. I won’t go into the PhD topic now, but will as my research progresses further. I’m currently in the very enjoyable phase of exploratory reading. For a while now my research has mainly focused on Australian jihadism and I’ve been wanting to move beyond that. While I will still be doing research on that, it won’t be the focus of the PhD. In other news, I had a paper published by the Lowy Institute recently: Australian Foreign Fighters: Risks and Responses. Conflicts in Syria and Iraq have attracted aspiring jihadists from across the world. Australians have joined the flow of foreign fighters to the region, raising concerns that some will carry out terrorist attacks in Australia should they return home. The record of past jihadist foreign fighter mobilisations, including Australia’s own history in this regard, demonstrates that there is a potential threat to Australia’s security. However, a range of factors will shape that threat, including how Australia responds to returning foreign fighters. The Government’s response has mainly focused on increased resources and powers for police and intelligence agencies, but also includes an important non-coercive element termed Countering Violent Extremism (CVE) that has received less attention. CVE has been a core element of the global response to foreign fighters, and has played a role in Australia’s counter-terrorism approach for several years. However, many past CVE measures are not directly suitable for the current situation. Australia can learn valuable lessons from European countries, which have more experience in CVE and are already using such measures to address the current foreign fighter threat. I wrote this op-ed on some of the paper’s key points. Daniel Byman, “The Homecomings: What Happens When Arab Foreign Fighters in Iraq and Syria Return?“, Studies in Conflict & Terrorism, published online 1 May 2015. Cerwyn Moore, “Introductory Comments to Foreign Fighters Research: Special Mini-Series“, Terrorism and Political Violence, published online 5 May 2015. Jasper L. de Bie, Christianne J. de Poot & Joanne P. van der Leun, “Shifting Modus Operandi of Jihadist Foreign Fighters From the Netherlands Between 2000 and 2013: A Crime Script Analysis“, Terrorism and Political Violence, published online 5 May 2015. Richard Bach Jensen, “Anarchist Terrorism and Global Diasporas, 1878–1914“, Terrorism and Political Violence, published online 5 May 2015. 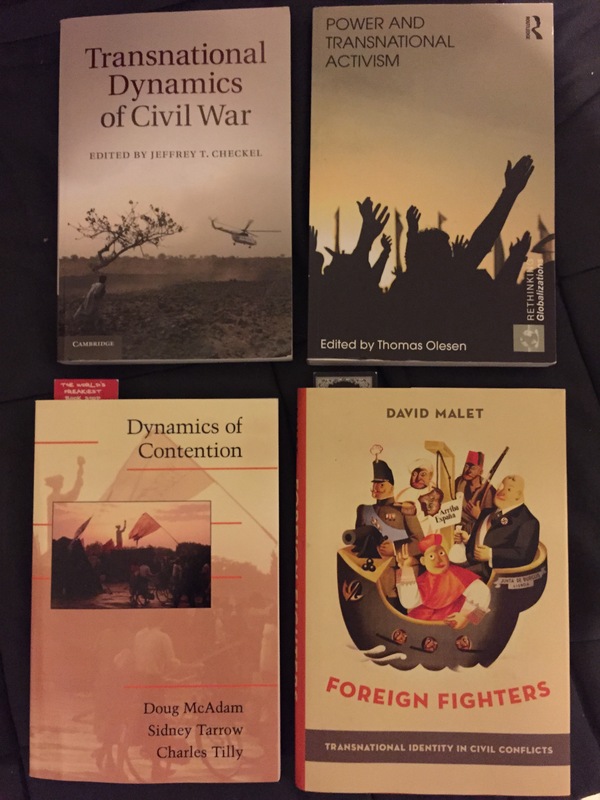 David Malet, “Foreign Fighter Mobilization and Persistence in a Global Context“, Terrorism and Political Violence, published online 5 May 2015. Cerwyn Moore, “Foreign Bodies: Transnational Activism, the Insurgency in the North Caucasus and ‘Beyond’“, Terrorism and Political Violence, published online 6 May 2015. 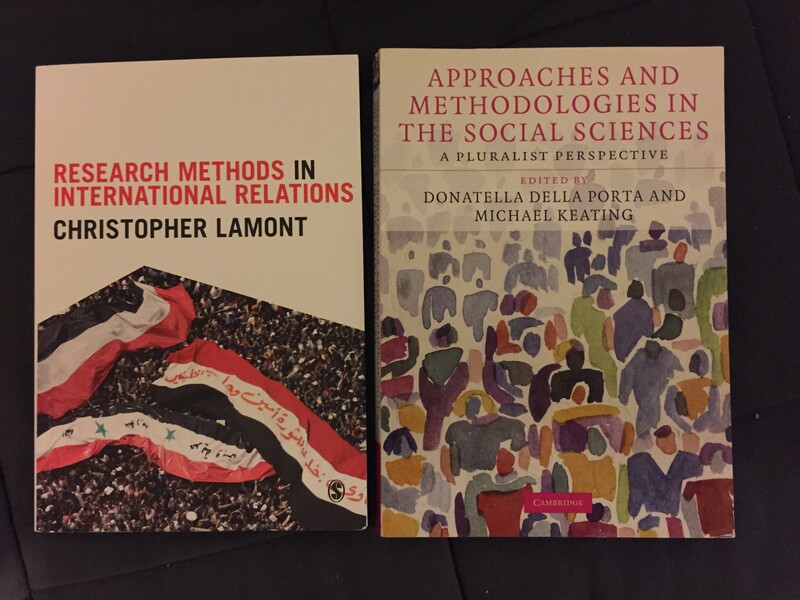 Finally, my friend Matteo Vergani has started a new social science blog, called Why Don’t I Get Those Results? Take a look!